Last fall, Chuck Brown, David F. Walker, and artist Sanford Greene’s Bitter Root comic made an immediate impact for Image Comics. Now, the series is heading to the big screen courtesy of Legendary Entertainment. Via Deadline, Brown, Walker, and Brown will all be executive producers of the adaptation of their Image Comics series. Sean Owolo. Jon Silk, and Disney Hall from Big Machine will executive produce the film on behalf of Legendary. Neither a screenwriter nor a director are currently attached to the project. Bitter Root follows the Sangeryes, an African-American family living in New York City in the 1920s during the height of the Jazz Age. While the Sangeryes were once a force to be reckoned with, the family is deeply divided by their merciful tactics. However, when faced with a supernatural invasion that feeds on prejudice, spite, and bigotry, the Sangeryes will be all that stands in the way. Prior to Bitter Root, Walker and Greene worked together on Marvel’s Power Man and Iron Fist revival series. Walker is also the co-creator and co-writer of DC’s Namoi series. 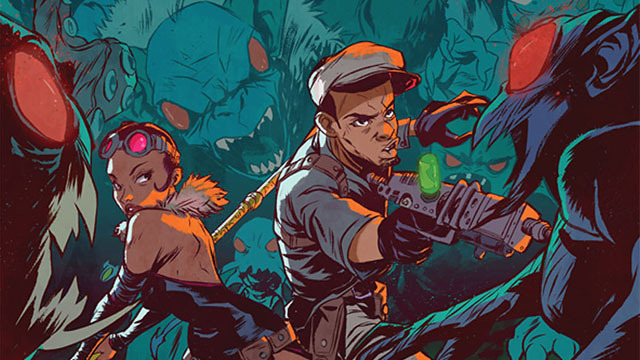 Greene has previously illustrated Uncanny Avengers, Black Panther, and Deadpool among others. Brown’s comic credits include the indie title, Trench Coats, Cigarettes and Shotguns; as well as Black Panther and The Punisher stories for Marvel. Who would you like to see star in the Bitter Root movie? And which writers and directors would be the best fit for this project? Let us know in the comment section below!